Great Girros is an Large Monster in Monster Hunter World (MHW). ドスギルオス(痺賊竜) in Japanese. A monster that scavenges for meals dropped from the Coral Highlands. 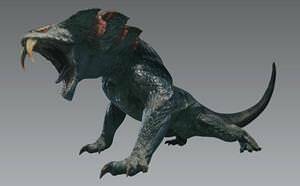 It acts as the alpha leader of a Girros pack, and sports giant fangs that paralyze its prey. Is hostile at medium range. Intimidator level 3 skill prevents it from attacking you on sight unless provoked. Taking down lesser Girros will make the rest of the pack scatter, and should be a top priority. Breaking the fangs of a Great Girros will make its paralyzing agent much weaker. Armor and Weapons related to the Great Girros Monster. 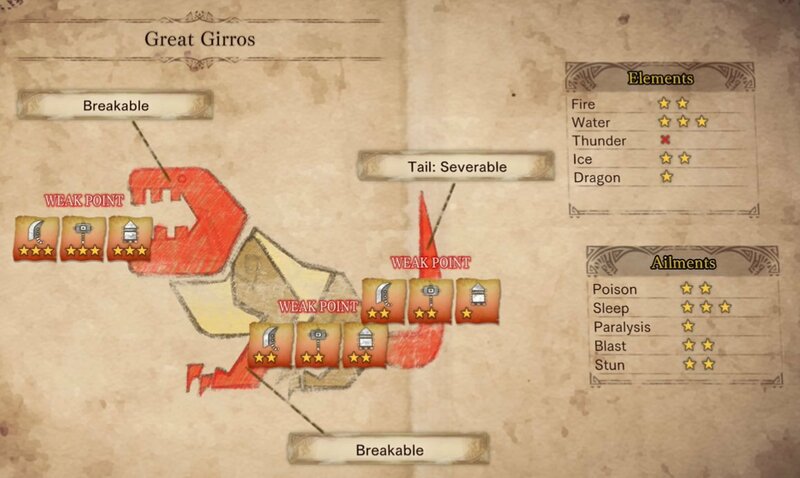 Great Girros is known as the "Paralyzing Thief Wyvern"
Can&apos;t manage to cut his damn tail... any advice? Whats the "high rank" mean? I mean I fixed the Thunderblight vs Paralysis issue on this page. I&apos;v never been on this website before but fixed it.